Hello and welcome! 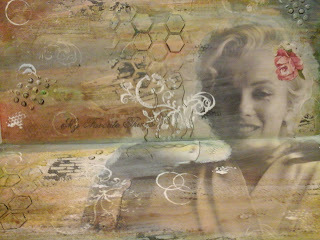 Today I made a double page journal using Cottonwood Arts Coldpress Notebook and SinCity Stamps. This month we are teaming up with a fabulous sponsor Cottonwood Arts. They have produced a line of coldpress journals and notebooks that can handle a large amount of medium for mixed media projects. I started with some ripped dictionary pages. I placed small pieces horizontally and glued them down with Matt medium. Next I used stencils with some molding paste. I knew roughly where I was going to place my focal image and worked around it. 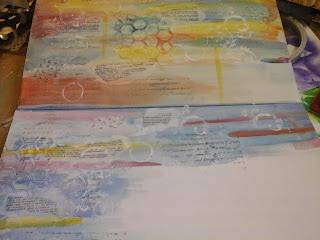 With Grey Stazon ink I started stamping with the background images from the Terri Sproul Art Journaling 2 line. 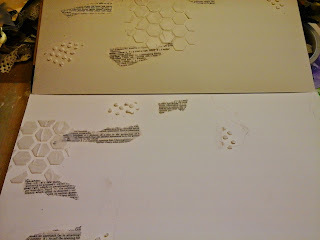 I also wanted these images in white so I used white gesso with my stamps. 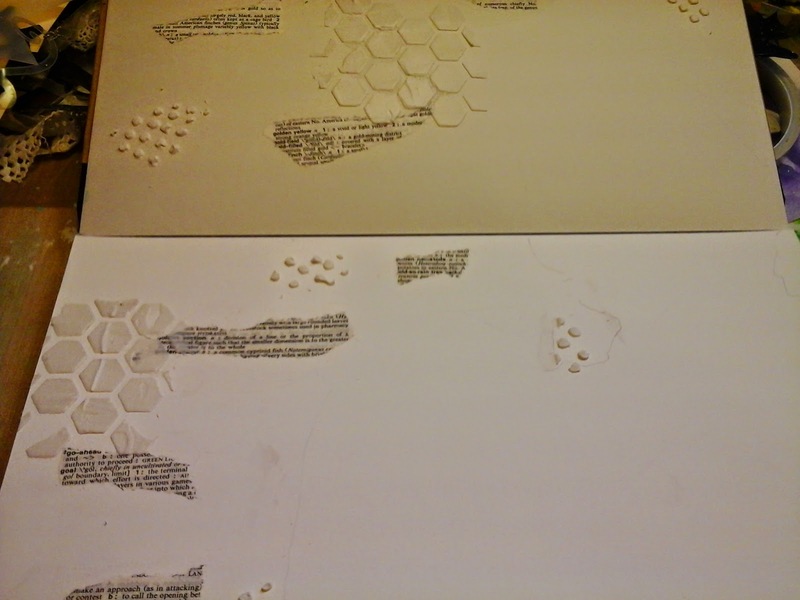 Keep in mind Gesso is an Acrylic so cleaning your stamps immediately is a must. I used my finger to apply the gesso directly to my stamp. I used a small lid with white gesso to create circles. Next I started laying down some color with watercolors. 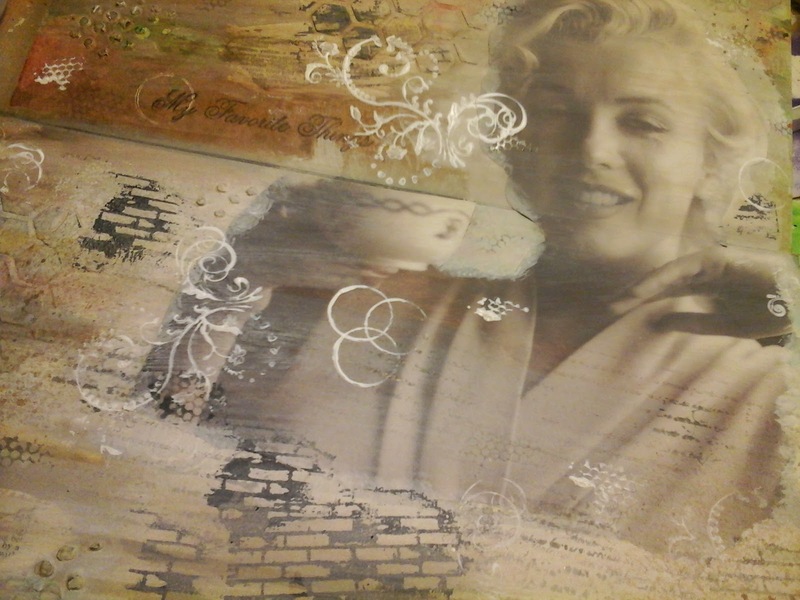 I got a really cool resist effect when coloring on top of my stamped images. 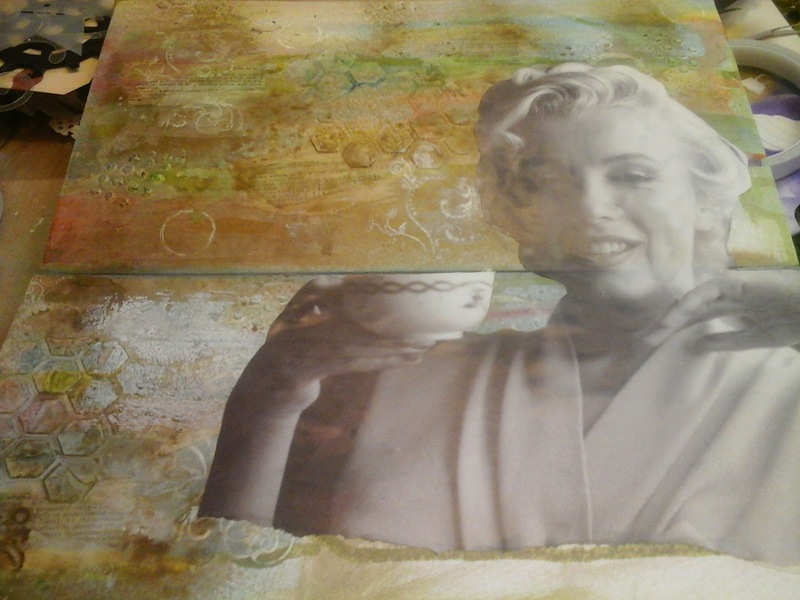 I glued my focal image of Marilyn down with matte medium being careful not to get any medium anywhere but under my image as it will resist any colors I place on top. I wanted to tone down my colors so I created a wash with water and gesso and covered both pages. Seeing my focal image is black and white I wanted some darker colors. So I brought out my sprays and went to town with green, gold and browns. More Stamps! Layers, layers, layers! Brick background stamp in black stazon. Next more stamping with gesso. I stamped the background words, I also stamped "My Favorite Things" beside her coffee cup. I placed a cardstock rose in her hair and I made some of my texture pop by outlining certain elements with a black fine point pen. I hope you have enjoyed todays tutorial. I have to say I added alot of water and medium to this coldpress notebook and there was no piling or warping. Very impressed with this fabulous journal/notebook from Cottonwood Arts. 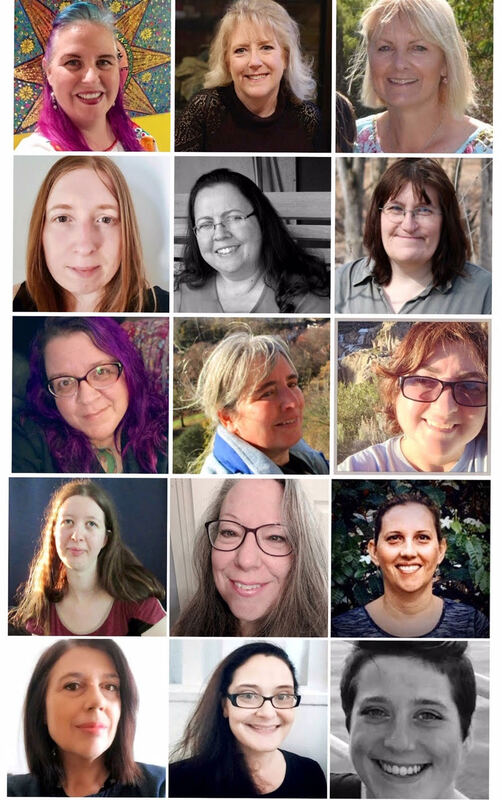 Gorgeous pages, Peggy! Love all those layers! so pretty.. love the details..